15 June, graduates of USUE computer school УрГЭУ defended their projects. 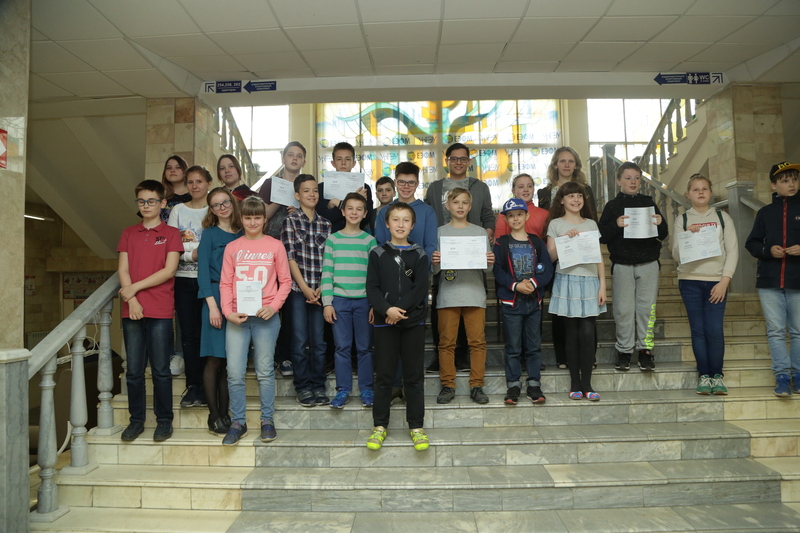 By the end of two-week, courses, totto the ovation of their parents and,classmates, ониthey received received certificates of additional education. During the summer period, the children's computer school operates at Ural State University of Economics. Children together with their parents choose the program of training of their interest. Within 2 weeks, children acquire new knowledge, skills, and friends. Those who wish could stay for further training. The first stream of children studied from 4 to 15 June. The defense of the projects was in the form of presentation. 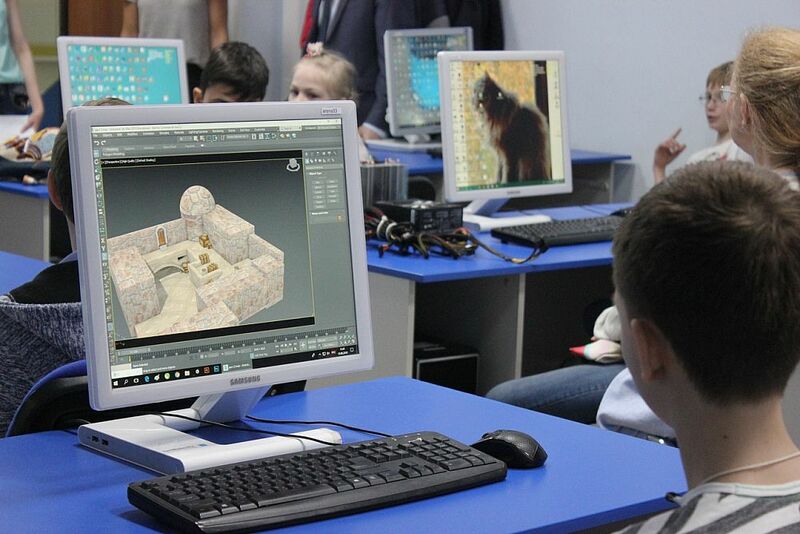 "On the day of the graduation, several groups introduced the programs ‘3D Holy Kingdom’, ‘Computer Genius’, ‘English Language’, and ‘Magic of Graphics’,” Suzanna Meldonyan, director of the Center, explained. “Graduates have learned to create 3D characters, which could be turned into future animation. Someone created a design project for their room, someone - photo collages and calendars with their photos using Photoshop, Corel, and Illustrator. Children from the group "Computer Genius" assembled a computer and connected it to the network." In the final presentations, they showed what they had learned during the summer holidays. For example, how, using vector graphics, to create your own fonts, change pictures, add or remove various details. Using retouching, they learned to restore old, crumpled and scratched photos, applied logos and drawings on sweatshirts, changing the given color of the garment. Alexander Kobzeva, for example, painted a self-portrait in Photoshop, and Serafima Aleshina "pasted" a kitten with a ball in the design of the room. The graduates of the course "Computer Genius" were the last to defend their projects. 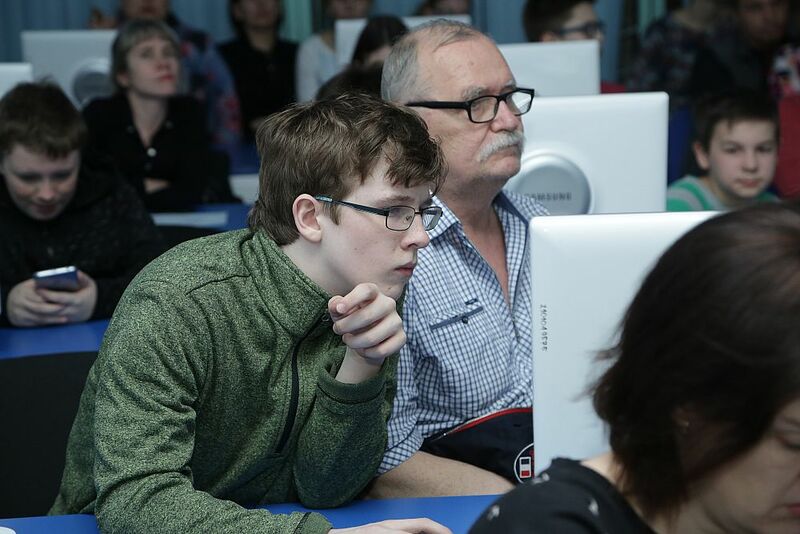 "Children thoroughly studied PC configuration, learned how to set up a local network and software, assemble and disassemble computers in accordance with the available budget, and understand future innovations," the teacher Timur Zamanov presented the educational program . 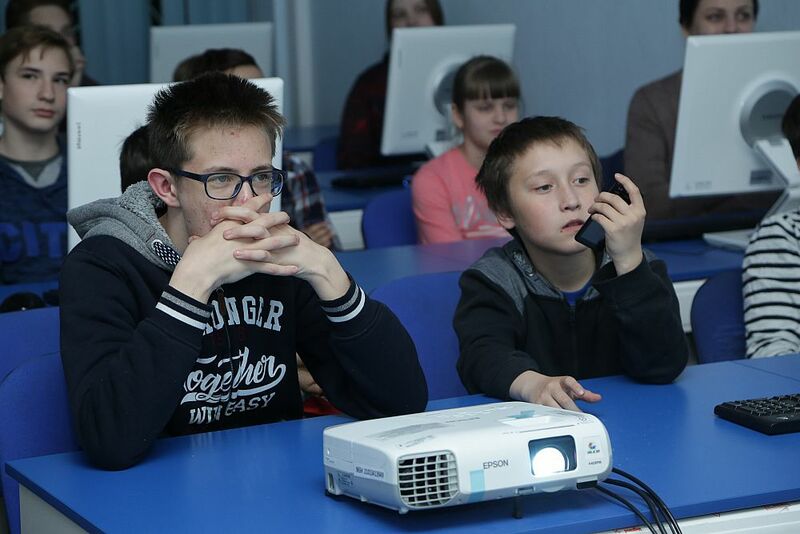 Further, graduates of this course at the children's computer school are offered to master the website building and programming: these are the II and III levels of education. By the way, other educational programs provide for the same gradation. The trainees told everything they learned about the motherboard, RAM, hard drives, disk storage, video cards, and power supply, the differences in current processors, and under the teacher’s guidance showed how to assemble the system unit. The assembly went smoothly: an image appeared on the screen, and the PC started working! This means that young "computer geniuses" received an excellent skill, and they certainly would not fear the breakdown of a home computer. We met with with of themost хsuccessful trainees of trainee "Computer Genius" course .Arseny Morev. Arseny first learned about USUE computer courses from his friend and classmate Ilya and he put his mind to study there.Together with his mother, they visited the site of the USUE children's computer school, studied all the information, chose the appropriate educational program, and signed up for the course "Computer Genius". 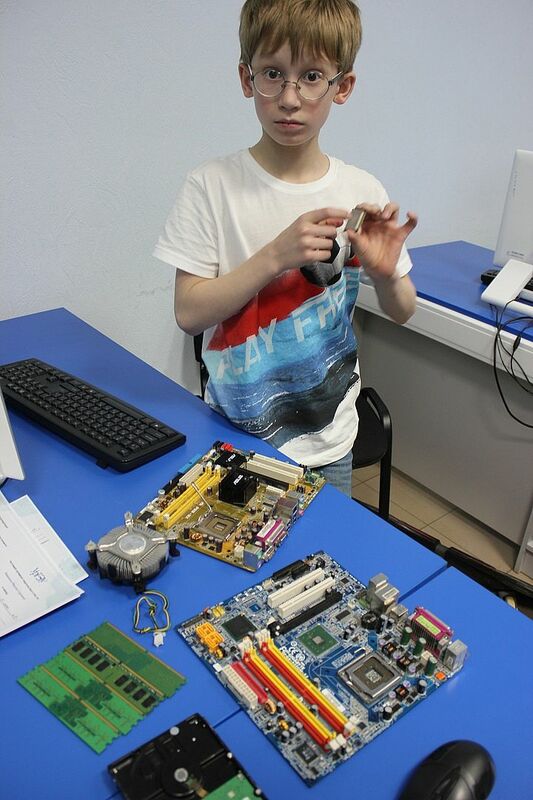 Arseny said that during two weeks he learned a lot about the constituent parts of CPU, how to select the right parts for one’s computer, and how to install the software In his eleven, he can assemble a computer of the necessary power with high functionality, for example, to create in 3D animation. Arseny speaks well of the teacher, "Timur is very energetic. During the classes, he showed many examples, explained everything very clearly. At the lessons, we put all the information we received to a special table. We still have this table, so if we like to remember or review something, we could always use it. " Arseniy has two younger brothers, so there is someone to share new knowledge with. With his knowledge of the components of the system unit, he already surprised his dad. Besides, he liked to learn computer subtleties so much that he decided to sign up for the II level courses, and in the future to become a programmer. June 18, the II level courses began at the USUE children's computer school. Many graduates of the first stream decided to learn further, choosing the II stage of complexity within the program chosen. It only remains to wish the students interesting and informative vacations!